The new fast-folding Gocycle GX model will be showcased at the London Bike Show between 29th to 31st March. The new model was revealed at the start of February and is capable of being folded and stowed in under ten seconds, the brand has claimed. It will be available for test rides for the first time at the show’s dedicated bike test track. The 2019 London Bike Show will be Gocycle’s ‘biggest-ever presence’ at a UK show with its full e-bike range on display, including the GS and G3 models. The Gocycle team will be on hand at stand LB511 to showcase the range and answer any questions. The GX is the first Gocycle model to feature the new Gocycle All Weather tyre. Owners can specify their GX in one of three bespoke Gocycle colour options: electric blue, matt black, or white with a black Cleandrive. 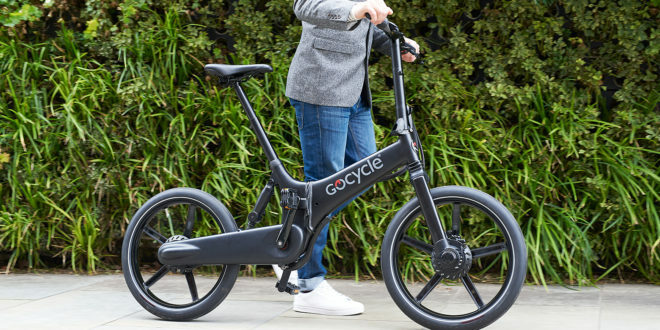 It features torque sensing, direct mechanical shifting and an integrated LED battery fuel gauge housed within Gocycle’s oversized handlebar design that allows users to monitor battery charge level while on the move. The battery is fully-integrated in the GX’s frame for ease of travel and can be quickly removed for charging or maintenance if required. The newest model in the Gocycle range is compatible with Gocycle’s key own designed accessories for the commuter such as mudguards, lights, and front pannier. 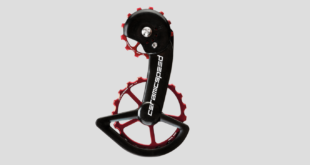 It is also compatible with the Gocycle Connect App, which provides customised driving modes as well as health statistics such as calories burned and maximum and average pedal power. The new Gocycle GX is available to pre-order now with first deliveries beginning in April. 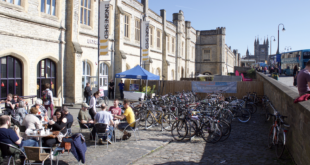 The London Bike Show will have more than 300 bike, kit and accessory brands on display as well as opportunities to test ride the latest bikes on the test track and kids test track, and a mini pump track. 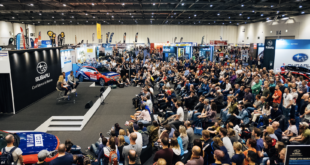 Speakers spanning all disciplines of cycling, triathlon and other sports will feature across three different stages at the show – the main Performance Theatre, where the Athertons will be speaking, the 220 Triathlon Experts Stage and Casquette Live.